Proud Sponsor of the big baby sale! Good morning everyone! Wow what a week and it only gets better. I am a business sponsor for the “Just Between Friends” sale for Lynnwood/Mill Creek that runs the 24th -26th! Come shop, save money and get some great items for the kids. Stop by my table and enter to win my “Mom’s need wine basket” and don’t forget to ask for your FREE special gift. Hint. Its something every mom needs when the little one takes a fall. I will have other goodies for you too so come by and say “hi” take a look at the listings around the area, ask questions about the market and if your in the market to buy ask about the new ZERO down programs that just came out. Their amazing! As I write this it is September 10th in the late evening. The news is on, my children are safe asleep in their beds and I am thankful. I look forward to tomorrow but it will be a day of sadness and heavy hearts for many. This day 14 years ago was not just any day. In the morning there will be many across the country that are going to wake up to deep sadness and a heavy heart. 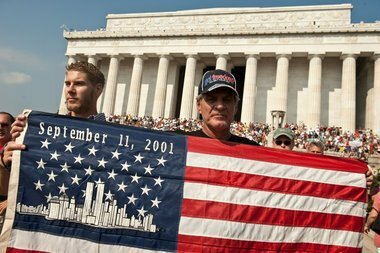 With remembrance of the trauma and loss of loved ones that morning on 9/11/2001. I hope we all pause for a moment and remember those that lost their lives and those that were left alone without their husbands, wives, son’s and daughters. We are thankful for what we have but I hope we all never forget and always show our support to those who lives were changed forever that day. Amen and bless those families I am thinking of you all!